BSN vs MSN programs: Which Is a Better Nursing Degree? BSN vs MSN Degrees: Which Degree is a Better Step for Your Nursing Career? Being successful in the health care industry means committing to constantly learn and improve your skills and education. A nursing career is full of stepping stones and the key is to find out which steps are better choices for your career. This is why both beginner and experienced nurses are looking for a way to advance in their careers and find out the degree that would get them the jobs they desire. For many, this means a Master of Science in Nursing (MSN). Others might think that a Bachelor of Science in Nursing (BSN) is the best option. The decision is personal and depends on your individual circumstances, so there is a number of factors and circumstances that need to be taken into account. Continue reading to find out which degree path might be the right route depending on your background and circumstances. Have a glance at our RN to BSN Program! What is a BSN and an MSN? A Bachelor of Science in Nursing, or a BSN, can be a gateway to becoming a professional Registered Nurse. The BSN program prepares you for entry-level practice in hospitals, clinics, and other health care settings. This means that you don’t really need any prior experience, but some interactions with the field will prove helpful. And although you could work as a RN even without a BSN degree, taking that extra step in education can earn you more responsibility and an increased salary. On the other hand, a Masters of Science in Nursing, or an MSN, is an advanced, post-graduate degree that will provide the skills and advanced training for a specialized role such as nurse practitioner or nursing administration. The MSN qualification empowers you to provide many of the services that are at a higher level than a ADN or BSN level, so the expertise you acquire is more in depth than with other nursing degrees. MSN programs also require a BSN degree in order to apply. With that stated, it is important to consider what education level suits you and your career path best. Why Would You Need a BSN or an MSN? Both BSN and MSN degrees are a huge step up in anyone’s nursing career and having at least one of the two can help you quickly find a better paying job. Each degree comes with a significant salary increase. For example, the salary for a BSN nurse is significantly higher than the one of a RN nurse without the bachelor’s degree. Also, although you can work in this field as a registered nurse with an associate’s degree or a licensed practical nurse, more and more hospitals will require at least a BSN degree for entry-level nurse positions in the near future. According to RN.com, the American Association of Colleges of Nursing predict that, in the near future, hospitals hoping to earn Magnet status will need to increase their BSN workforce to 80%. Moreover, several large national healthcare organizations already have plans in place to promote and increase their BSN nurses. Some of these organizations require nurses to have at least a BSN degree to be able to be considered for promotion beyond entry-level positions. This means that the need for an advanced degree is growing, making it not a matter of if you should get a degree, but what degree makes more sense for you: a BSN or an MSN. What Are the Differences Between a BSN and an MSN? The difference between a BSN and an MSN degree is essentially the same as the difference between a bachelor’s degree and a master’s degree in any other field. However, the type of degree you have will have a huge impact on the type of job for which you will be eligible. While a BSN program provides you with a broad knowledge base, preparing you to work in diverse nursing fields, an MSN program is meant to give a more specialized perspective. The MSN is focusing more on a certain nursing field and improving skills such as leadership, administration, and even teaching. Job perspectives: A clear advantage of owning an MSN is that it can open up even more jobs than that of a BSN degree. Time: Usually, getting an MSN degree means a few additional years of studies. This issue may be avoided by choosing an accelerated MSN program, but a faced-paced program could be harder to follow, especially if you plan to balance school with work. Financial resources: Additional years of studies mean, of course, more tuition fees. Type of nursing jobs you desire: It comes down to what type of job you enjoy most. An MSN degree provides that advanced knowledge and skills, but it may not be required for the job you deem your dream career. Consider your career path and the nursing jobs that you desire, then start looking into the educational paths that will help you achieve your career goals. BSN vs. MSN: Which Degree is Better? Working in an extremely competitive market may tilt the balance toward an MSN, but if not all the above factors are aligned, waiting for the right moment might be your best option. You can always go back and complete your MSN degree. There are several accelerated programs that allow you to work your way up from a BSN, so it ultimately comes down to which situation you find yourself in. However, is you currently do not have a BSN degree, that is the degree you want to pursue to help provide career and financial stability. To find out whether a BSN or an MSN program is the best choice for your career, here are a few scenarios to which you might relate and the preferred course of action for each of them. Being at the beginning of your nursing career gives you a lot of options as to how to move forward, but it can also be extremely confusing. The simpler course of action would be to take things step by step and get your BSN degree first, after which you could work towards you MSN if you still wish to do it. Not being an experienced nurse means you will need to learn and assimilate a lot of information while gaining as much practice as possible during your studies. Approaching your studies gradually and devoting more time to each course can help you better understand the demands of the industry without feeling overwhelmed. It is important that you do not put too much pressure on yourself all at once in order to accomplish your goals successfully. Another plus is that transitioning from BSN to MSN is becoming easier. If a few years ago it would take three to four years of study, now you can upgrade to your MSN degree in as little as one and a half or two years. Enroll in the pre-licensure BSN Program! The downside is that is may take some extra time and financial resources to follow this trajectory instead of a direct entry MSN program. If you’re absolutely sure your end goal will be MSN degree, finding that perfect RN to MSN program might be worth those long, hard hours of studying. But don’t neglect to study the market’s demands in your area beforehand, as an MSN-educated nurse with little experience might not be marketable in the area where you live. Being a young practitioner with little or no prior experience and an MSN degree could make it hard to find a job. This is because the lack of experience may make your desired employer distrust your skills and capabilities. Since the MSN degree is designed for nurses in management and leadership roles, having a few years of experience under your belt will definitely benefit you when it comes to learning the ins and outs of your profession. In these cases, getting a BSN degree first can quick-jump your career, while still allowing you the necessary time to study and gain practical experience. If you’re already working as a registered nurse, you can either opt for a BSN or an MSN program, depending on which direction you wish to take your career. Having previous nursing experience will be helpful in applying to bridge programs that can accommodate your schedule and help you get your degree faster. For example, an RN-to-BSN program can be completed in as few as 8 months. Alternatively, there are quite a few bridge programs that help you get your MSN degree much faster, depending on your previous experience and degrees. For instance, if you are a Licensed Practical Nurse (LPN) nurse, the BSN program can grant advanced placement, so you can get your BSN much faster. Enroll in a RN to BSN Program! So you’ve already put in the work and got your BSN degree. This already opens up many doors for you when it comes to jobs and opportunities. So the next logical step would be to work towards your MSN degree. However, this might not be the right choice for everyone. What type of job do you prefer? Nurses with a BSN degree practice a more hands-on approach when it comes to patients, while nurses with an MSN degree are more prepared for leadership, administration and education roles. What are the job perspectives where I work? Some states are desperately looking to fill positions that require an MSN degree, while others need BSN-prepared nurses. You might invest time and resources for your MSN degree and find yourself with no job perspective. Job security is key, so knowing you are always in demand is a huge comfort. If you decide that you feel more fulfilled as a BSN nurse, you enjoy the bedside care part of your job and this position is in high demand in the area where you live, then spending the time, energy and money needed to get your MSN degree would not be in your best interest. On the other hand, if you feel like having an MSN degree would help you get the job you desire and a bigger paycheck, then all the hard work will be worth it. Besides, an MSN program will most likely pay for itself in time due to the salary increase. Having a full-time job in a different field will give you some constraints when it comes to studying. If you’re working in a separate field and wish to become a nurse, there are quite a few things to consider. Not only are the time constraints pressing, but you will also have a longer and tougher road ahead of you if you want to catch up. There are programs that allow you to apply even if you have a bachelor’s degree in a different field than nursing. However, a direct entry MSN program will provide you with a huge amount of information, which can be quite challenging to absorb without any prior training. In this case, a second-degree nursing program might be easier to follow and it allows learners to earn the BSN degree in less than a year and a half. After that, you can choose to continue your studies and get your MSN degree. What Competencies Will You Gain During a BSN vs MSN Program? While the BSN degree qualifies you to work as a registered nurse in a variety of health care facilities, the MSN degree gives you the chance to work as an educator or an Advanced Practice Registered Nurse. The main difference is that a BSN RN focuses more on hands-on patient care, while an MSN RN covers leadership, administration and educational roles, and can still work bedside patient care. That is why the skills that you gain during these programs are quite different. What Skills will I Develop during a BSN Program? A registered nurse with a BSN degree will have to know the ins and outs of patient care. During the program, you will learn about subjects such as emergency care, public health, anatomy physiology, but also chemistry, microbiology and pharmacology. Interpersonal relationships: developing relationships and rapport with individuals and groups. Behavioral skills: engage with self and others to create a safe environment and respond appropriately in situations that are stressful or that involve conflict. Environment adaptability: being able to function under unpleasant environmental factors such as noise and distractions, noxious smells, chemicals and disease agents or unpredictable behavior of others. You can find out more about the opportunities the BSN program offers in this complete BSN degree guide. What Competencies will I Develop during an MSN Program? The MSN program prepares you for clinical nurse leadership positions, nursing administration or clinical nurse education. You may opt for being an advanced practice registered nurse, which involves direct patient care, or go into non-clinical roles such as nurse administrators, teachers or informaticists. Therefore, the competencies you will gain will enhance the management and educational aspects of nursing. What is the Typical Educational Route to Advance My Nursing Career: RN to BSN to MSN? Normally, you would need a BSN degree to be able to apply to an MSN program. For this reason, before moving on to a master’s program, most people first get their RN license either after attending an Associate Degree in Nursing program (ADN) or from a Bachelor Degree in Nursing (BDN) program. Fortunately, both BSN and MSN programs can often be completed at least partially if not fully online, which means you can also work while you finish your studies. How Much Time Does a BSN vs MSN Take? Depending on the option and program you choose, as well as how the background requirements are met, the lengths of the programs may vary. The full BSN program may be completed in three to four years, while the bridge RN to BSN program can take as little as eight months to a year. Once you have your BSN, it would typically take another two years to complete the MSN program. The accelerated MSN programs last around three years: entry-level nursing coursework for the first year, while the remaining two years focus on advanced training and coursework, including preparation for the National Council Licensure Examination test (NCLEX-RN® exam). If you’ve initially chosen a different career path but have recently discovered that you have a passion for nursing, it’s never too late to change the course of your life. There are certain programs designed particularly for your type of situation. These are programs that require you to get either a BSN or an MSN degree without any prior qualifications or experience in the nursing field. Depending on your personal circumstances, you can follow an Accelerated BSN program (ABSN) or a direct-entry MSN, which is practically a combined BSN and MSN program. Time: The ABSN program can take a year and a half, or even less, while the direct-entry MSN program will normally take around three years. What type of nurse do you wish to be? Find out which degree will help you get the nursing position that is most suited for your personality. Can you keep up with a direct-entry MSN? The big disadvantage of enrolling in a master’s program with no prior education in that particular field is the amount of new information that you will need to comprehend and assimilate quickly, especially if you have a full-time job at the same time. The effort might be overwhelming. Although an MSN degree might be tempting, sometimes it may be more convenient to take the long road instead of getting overwhelmed and risk dropping out. What Jobs Can You Get with a BSN vs MSN Degree? While an RN with a BSN can take on more responsibilities than nurses without the degree, the available jobs center around safe and quality patient care. What are the Salaries for a Nurse with a BSN vs a Nurse with an MSN? As with any advanced degree, there is an obvious income increase, so it only makes sense that the higher the degree, the higher the salary. Also, MSN degree holders can move into management and education position, which usually come with a higher paycheck. However, the difference between BSN- and MSN-educated nurses is not as significant as one might think. Nurses who hold a BSN degree are the top 25% earners in the field, as the BSN Nursing portal points out. The actual salaries of nurses usually vary greatly based on specialization within the field, location and years of experience among a variety of other factors. Despite not reaching the wages for nurses with an MSN, the salaries for nurses with a BSN degree are also higher than salaries for regular registered nurses and can sometimes come pretty close to the salaries of a MSN degree nurse. Geriatric Nurse: In this field, RN’s earned salaries such as $70,590, $62,850 and $66,910 in 2013. Pediatric Nurse: Nurses can earn from $48,000 to $68,000 a year. However, compensation depends on the level of education, experience, geographic location and the type of facility. 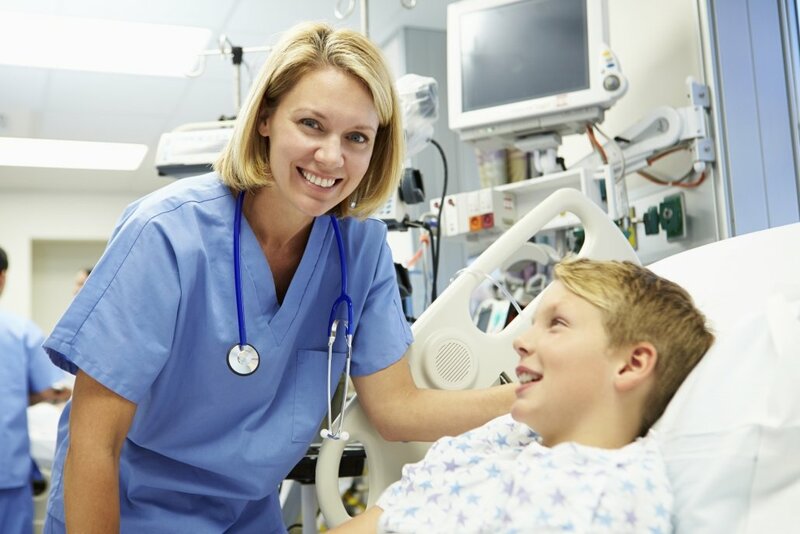 Experienced pediatric nurses can earn $100,000 a year or more. Charge Nurse: Charge nurses earned a median annual income of $71,597, with the middle 50 percent of professionals in this role earning between $65,216 and $80,611. Certified Nurse Midwife: Certified nurse midwives gain an average annual salary of $91,998, which is expected to grow in the future. The average salary for a BSN-educated nurse is between $60,000 and $120,000, but may also differ depending on the state they reside. According to the Bureau of Labor Statistics, nurse anesthetists, nurse midwives, and nurse practitioners have had a median pay of $110,930 per year in 2017, and all require an MSN degree. Of course, the actual salary depends on the practice, workplace, and state they live in. Direct care nurses work in general or specialty hospitals, doctors’ offices, community, public health clinics, or in home or school settings and can earn between $60,000 to $72,000, while highly trained nurse anesthetists can earn about $100,000 per year. When it comes to nursing administration, registered nurses who earn an MSN can expect a yearly salary range of $60,000 to $200,000. In education, the highest paid nursing instructors can earn up to $100,000 per year, while in the research field, the yearly salary ranges from $75,000 to $100,000, with a median salary of $90,000. Consulting is one of the more lucrative Masters of Science in Nursing jobs. Consultants are often independent contractors earning about $125,000 per year. Find out, in detail what are the nurse salaries by state! Is It Worth Getting an MSN Degree? Enrolling in an MSN program and getting your master’s degree can be quite rewarding, but the process of getting to that point can have its ups and downs. As with most cases, there are some advantages and disadvantages that you need to take into account beforehand. What are the Advantages of Having an MSN Degree? It opens up more career opportunities. A nurse with an MSN can ultimately choose to do the job of a nurse with a BSN degree plus have additional opportunities that bring about more responsibility. Moreover, certain positions at prestigious hospitals and health care organizations may give preference to candidates who have their MSN as well. There can be a significant pay increase. According to the Bureau of Labor Statistics, a nurse with an MSN degree can earn nearly double that of an average RN. There are many program options that can fit your needs such as the normal MSN program and the BSN to MSN program. Most programs offer online courses. When you already have a full-time job, being able to attend courses online, at a more flexible schedule, is the perfect option. You can start teaching nursing. If teaching is in your blood and you love doing it, then getting the MSN degree is the obvious choice. This gives you the opportunity to become a mentor and educator for other people. You can start working toward a doctorate degree. To truly reach the top of this industry you will need to finish your BSN then MSN in order to pursue a PhD. education. More flexibility at work. The schedule for MSN degree holders tends to be more flexible and can have regular hours, while most registered nurses have to work in long shifts. What Challenges Do You Have to Overcome to Get Your MSN? MSN programs can be expensive. Advanced degrees are big investments, even though they have the potential to pay for themselves in a few years. However, if you are not eligible for scholarships or do not already work in a hospital that is willing to invest in your advancement, it can be quite difficult to afford it. MSN programs are tough. Master’s programs are challenging, especially when it comes to health care. If you add a full-time job and family responsibilities to that, it becomes quite an effort. Thousands of learners a year prove it can be done, but it is definitely a decision that can be taken lightly. MSN programs are time-consuming. Coursework and clinical hours can add up to quite a few hours per week, even if you opt for online classes. It is important that you wait for the right time before enrolling, to make sure you have a great support system behind you. Getting an MSN degree ultimately comes down to whether the circumstances are right, whether you have the time to go through with it and whether your family is willing to give you their full support and help. If the time is not right, you might want to commit to a shorter program such as a BSN first, which can be completed faster and can be less financially draining. Learn more about the pre-licensure BSN Program! Learn more about the RN to BSN Program!